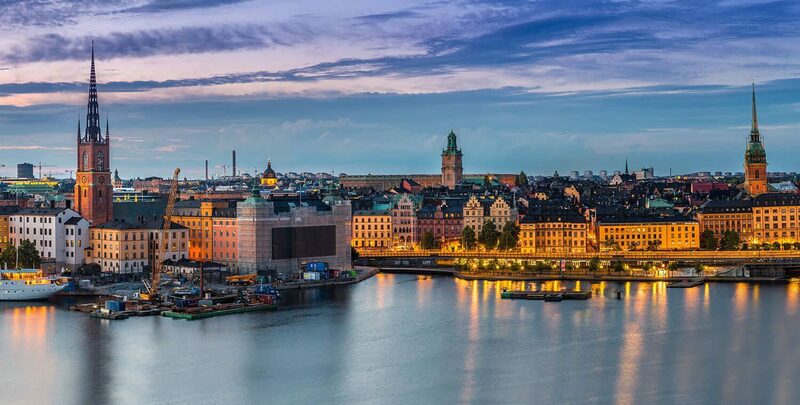 International inventors and innovators congress was held in Stockholm by International Federation of Inventors’ Associations (IFIA) and hosted by the Stockholm Innovators Association (STIK) as well as the Swedish Inventors’ Association (SUF) during 25-26 August, 2015. In addition to seminars, lectures and discussions on the conditions for innovation and invention, the conference and congress also resulted in an official statement in the form of five positions. The International Innovation Conference and IFIA’s World Congress was conducted over two days in late August at the Stockholm International Fairs premises and had gathered a hundred participants, both national and international, to discuss the conditions for inventors and IFIA’s role regarding the issue. One conclusion was the need to address and correct the general misconception that inventions and innovations mainly originate from the academic world. This is common perception that many politicians all over the world seem to have and believe, which therefore tends to result in a relatively one-sided support and financing of inventions / innovations. The congress also discussed the importance of acknowledging the world’s female inventors as an equally important group. Likewise it was emphasized by lecturer Winfried Sturm to embrace creativity as a key factor in development, both as an attribute and as an important subject, as well in school as in academic education. The international implementation of the TTC – the Technology Transfer Centre. TTC is a cloud-based interface between IFIAs member countries, providing mutual access to each country’s network of risk financiers, manufacturers, customer markets, distributors and local business partners. IFIA intends to open Technology Transfer Centres in different specialized fields in its members states, the physical headquarter of which is located in Stockholm and is administered by IFIA in cooperation of SUF. 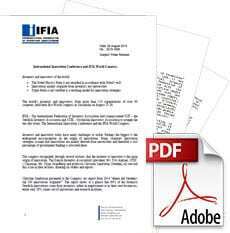 Research on innovations originating from IFIA’s different member states. The thesis Triple Helix from Stanford University in 1995 suggests that innovations will arise when universities collaborate with businesses through state funding. A Swedish study conducted in 2014 and presented at the conference by Professor Christian Sandström illuminates that the thesis is not consistent with statistical facts. To improve the efficiency of national innovation strategies in IFIA member states, it is of utmost importance to determine the origin of innovations. 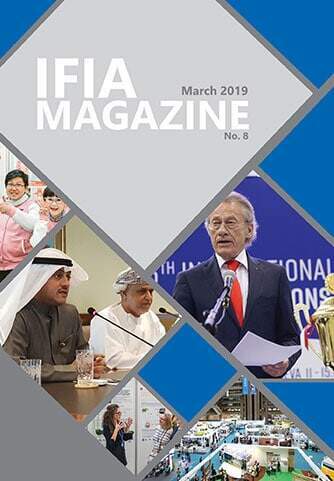 IFIA is a key global source of facts and information about innovation. There are currently a few authorized sources such as the Global Innovation Index, OECD and the Innovation Union Scoreboard. These institutions regularly publish statistics for innovative development in countries. 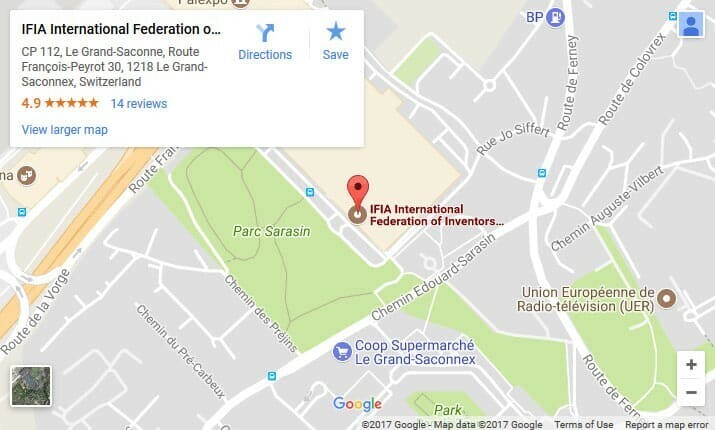 IFIA possesses – as the only international umbrella organization for inventors – exclusive information on the world’s inventors aggregated amount of patent applications, gender and demographic distribution, distribution of inventions in different societal areas etc. and could therefore be one of the central global sources for innovation facts and statistics. Great, medium, small and micro companies’ role as potential developers of innovations. Many innovation strategies today focus mainly on the largest companies, while the truth is that almost every large company has started with fewer than ten employees. It is therefore necessary to find strategies that instead would focus on finding cooperation between innovators / inventors and micro / small businesses. A Swedish model – UTM – was presented by the chairman of STIK. The model proposes a nation’s micro and small businesses to acquire continuous and free product development / R&D from the organized inventors and innovators. Establishing that a Scientist is not the same as an Inventor. If governments maintain the misconception that it is primarily the scientist who invents, thereby allocating most of its funding there, that will seriously diminish a nation’s potential for innovative growth. Identifying the inventor as the primary source of new technology, product development and industrial growth is a societal concern. Acknowledging the importance of the Entrepreneur. The very special talents of the inventor do – as studied – very often not include entrepreneurial talent. It is therefore essential that the inventor community seeks cooperation with the entrepreneur community for mutual prosperity, for the benefit of society as a whole. Declaring that Triple Helix is just a thesis, not a fact. In very many countries, the thesis Triple Helix is presumed to be the working formula for innovation. With the facts, studies and testaments given at the IFIA congress, it is now confirmed that Triple Helix only remains a thesis, not a truth. It should therefore be abandoned as a basis for innovation strategies. Declaring that female inventors must be acknowledged. There is no difference in the quality of inventions made by women compared to those made by men. Nevertheless, female inventors and innovators have unfortunately by tradition and culture been much more invisible. Given that half of this planet’s inhabitants – consumers, workers and voters – are women, it is only natural for a modern age to also acknowledge them as equals in the field of innovation and inventing. Appeal to the inheritance trustees of Alfred Nobel’s will. The execution of Alfred Nobel’s will, concerning the distribution of the physics prize must be revised, so that the balance between laureates for discoveries versus inventions mirrors the testaments exact wording, i.e. half of the laureates should be inventors, not just approximately 20%. See the photo of the IFIA World Congress 2015.